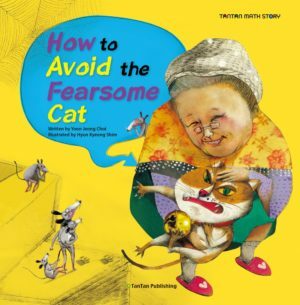 DESCRIPTION FROM THE PUBLISHER: When fifteen mice living in a warehouse receive a threatening letter from the Farmer’s cat, they gather together to decide how to protect themselves. The mice brainstorm for solutions and vote on different ideas to create a plan that will prevent the cat from attacking them. Through intricate, quirky illustrations, readers will learn how to sort items and create bar graphs to organise ideas. Activities and questions will engage readers as they measure quantities, create bar graphs and evaluate the information within this exciting story.